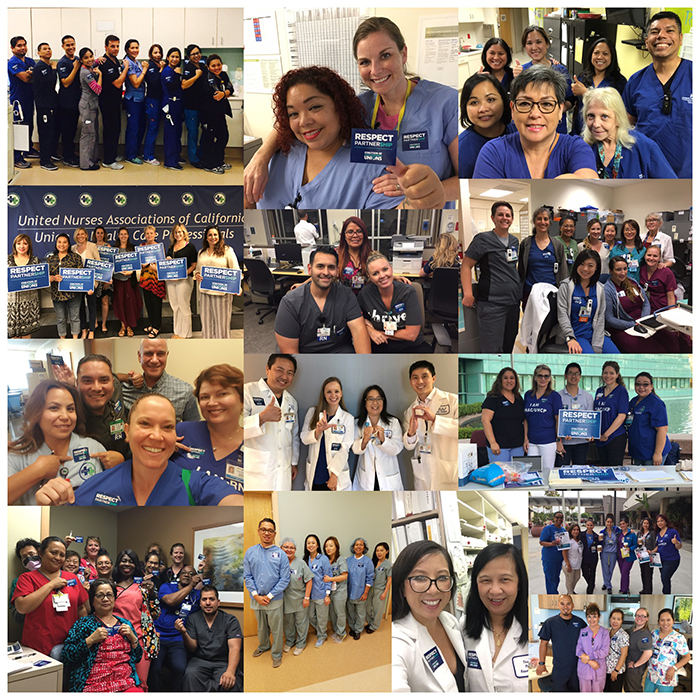 With contract negotiations less than a year away, thousands of UNAC/UHCP members from hospitals across Southern California stickered up on July 20 to call for respect for our partnership. Participating in our union is the best way for us to speak up together for quality care and make sure we all share in the success we help create. Yesterday’s action was an amazing display of unity and strength. When UNAC/UHCP nurses, pharmacists, optometrists, case managers, patient educators, midwives, wound ostomy and continence nurses, physician assistants, nurse practitioners, physical therapists, occupational therapists, recreation therapists, and staff educators come together, we are stronger. Great work to all who stickered up! To see more photos from the UNAC/UHCP sticker action, check out our Facebook page at www.facebook.com/unacuhcp.